Atari has been sued by the developers of the Roller Coaster Tycoon series of games, Frontier Development. With a brand as old as Atari, it’s no surprise that controversy can sometimes sneak up when it’s least expected, unfortunately, this is precisely the case, as TMZ has reported that Frontier Development, best known for the renowned Rollercoaster Tycoons games, have sued Atari in regards to what is owed to them for their work on the series. Specifically speaking, Atari owes Frontier Development a staggering $2.2 million in royalties. Frontier has claimed that they believe they are getting ripped off, citing that another website showed higher sales figures than what was given to them. Frontier Development has been working with Atari since 2003, when the two struck a deal in order to develop RollerCoaster Tycoon 3 amongst other titles. “We can confirm Frontier is currently pursuing a complaint against Atari. We have attempted to resolve this issue without legal action since April 2016. We have so far been denied our contractual right to audit by Atari, and we are unfortunately left with no other way to resolve our concerns. We are unable to offer any further comment while the matter is subject to due legal process,” said David Walsh, Chief Operating Officer over at Frontier. Frontier went on to state, that they believe they are entitled to $3.37 million in royalties, of which they only received $1.17 million — to make matters worse, Frontier claims that Atari then delayed themselves when asked for an audit of their sales report. Frontier Development seems to be done playing nice with Atari and has now gone on the attack, suing them. 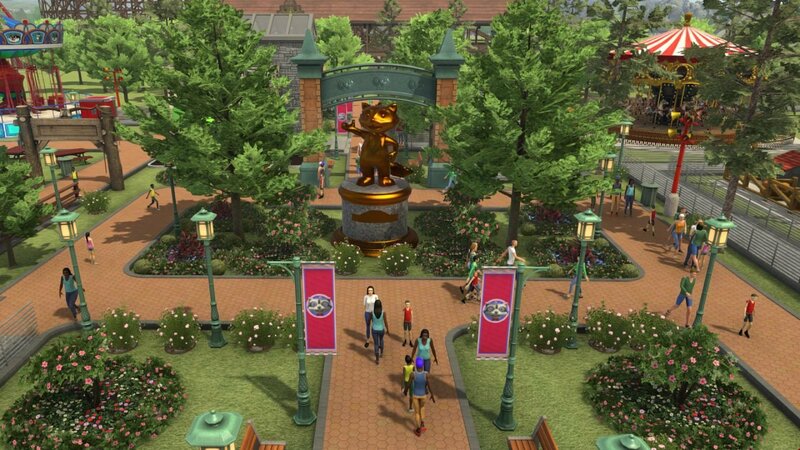 This news comes just hours after various news outlets reported that RollerCoaster Tycoon 3 has been pulled from online distribution storefronts such as Steam and GOG.